The proposal to help firefighters diagnosed with cancer in New Hampshire by including coverage under the state’s workers’ compensation law is being revisited. Over the last decade, extensive research has shown a link between firefighting and increased cancer risk due to the exposure of toxic smoke. Many states, including Ohio (the 35th state to do so), have already affirmed this link and supported their firefighters by expanding workers’ comp coverage. In 1990, the Supreme Court ruled workers’ compensation coverage of firefighters who develop cancer as an unfunded mandate and “unconstitutional.” This left many firefighters and advocates highly frustrated for decades. But in 2010, a study was conducted by the NIOSH (National Institute for Occupational Safety and Health) that found firefighters have a higher risk of developing cancer than the general population. This study also concluded that firefighters are at higher risk for urinary, respiratory, oral, and digestive cancers. In addition, a high exposure to asbestos means that twice as many firefighters are diagnosed with malignant mesothelioma as the general population. Recently, New Hampshire firefighters have had a glimmer of hope as talk of expanding workers’ comp coverage to include cancer is discussed. The bill has struggled to receive funding, but it has recently started seeing the light at the end of the tunnel. “It’s certainly a great step in the right direction. There might be some tweaks that need to occur, but I think we’re headed in the right direction,”Salem Fire Chief Paul Parisi said. 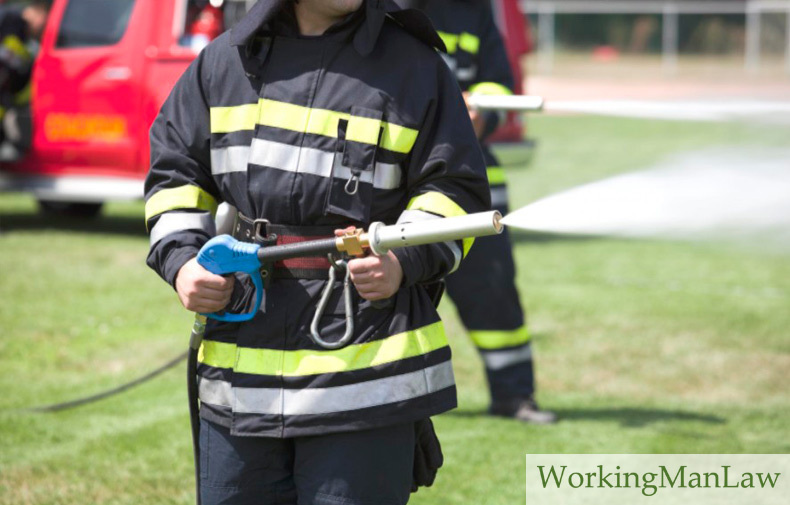 Firefighter or not, if you think you qualify for workers’ compensation, continue reading our blog or visit our Knowledge Center for more information.